Cattle And Hog Numbers Rise, Sheep Inventories Decrease | Chatham-Kent Agriculture Development | We Grow For the World! 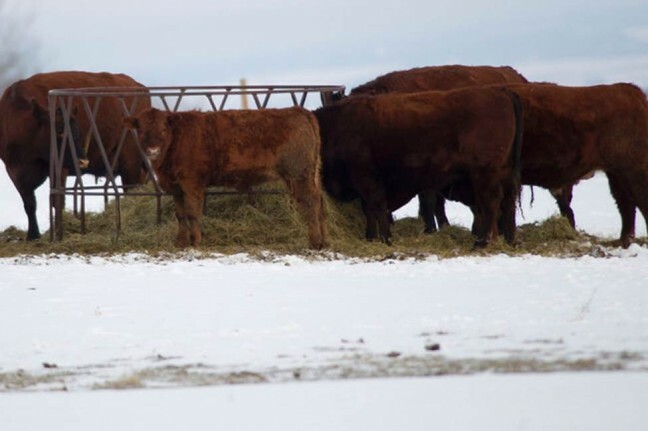 Canadian farmers had 12.0 million cattle on their farms on Jan. 1, up 0.3% from Jan.1, 2015. In its report released on March 3, Statistics Canada said the slight rise marks the first year-over-year increase since January 2013. However, the inventory remained 19.9% below the peak of January 2005. Hog producers reported 13.3 million hogs, up 0.7% from Jan. 1, 2015, while the number of sheep fell 1.9% to 828,600 head.. The number of beef heifers held for breeding on Canadian farms was up 4.0% year over year to 547,300 head, the first increase since 2013. The inventory of calves on January 1 increased 0.9% to 3.8 million, while the number of feeder heifers (-1.2%) and steers (-0.7%) fell from January 1, 2015. Canadian farmers had 1.4 million dairy cows and heifers on their farms, up 0.4% from Jan. 1, 2015. As of Jan. 1, 81,590 farms reported cattle and calves, down 0.8% from Jan.1, 2015, and down 1.6% from the same date in 2014. Total disposition of cattle decreased as both slaughter and exports declined during 2015 compared with 2014. Domestic slaughter decreased 8.2 per cent in 2015 to 2.9 million head. However, carcass weights increased in 2015, tempering the decline in beef production. Exports declined 33.2% to 831,100 head in 2015. Canadian cattle prices were strong in the first half of 2015, but moderated in the second half of the year. Relatively strong prices reduced the incentive for Canadian producers to send their cattle south. Demand for Canadian cattle was also dampened by growth in the US cattle herd. The United States Department of Agriculture reported that the American cattle inventory grew 3% in 2015. As of Jan. 1, there were 6,965 hog farms in Canada, down 0.4% from the same date a year earlier. These farms reported 1.2 million sows and gilts, up 1.6% from January 1, 2015. Canada exported 5.8 million hogs in 2015, up 16.4% from 2014, but down 42.4% from the 2007 export peak. In 2015, domestic hog slaughter increased 4.2% from 2014 to 21.3 million head. The July-to-December 2015 pig crop was 14.5 million, up 6.4% from the same period in 2014. The sheep breeding herd decreased as the number of ewes declined 1.5% and that of replacement lambs fell 0.6%. The number of market lambs decreased 3.2% from Jan. 1, 2015.